Daniel Bartlette, a retained firefighter at Reepham Fire Station and a tenor singing regularly with the BBC Singers, is giving a recital at 7 pm on Saturday 6 October in Aylsham Parish Church, with Norwich Cathedral organist David Dunnett and local baritone Dhilan Gnanadurai. The varied programme will include English song and opera classics, including pieces by Purcell, Finzi, Britten, Mozart, Bizet and Tchaikovsky. Tickets £10, to include a glass of wine, are available from Barnwells, Market Place, Aylsham, as well as Aylsham Parish Church and on the door. Proceeds from the concert will be donated to Team Malawi, a Reepham-based charity working in partnership with Malawians, providing teaching resources to pre-schools and primary schools, bursaries at secondary schools and medical colleges, and skills training for adults. After 20 years as a cathedral musician in Liverpool, Canterbury and Norwich, Mr Bartlette left Norwich Cathedral in 2017 to pursue his busy portfolio career as a tenor. He worked with the Grange Festival opera this year and has had a busy schedule with the BBC Singers, where he is currently in the midst of numerous BBC Proms concerts. 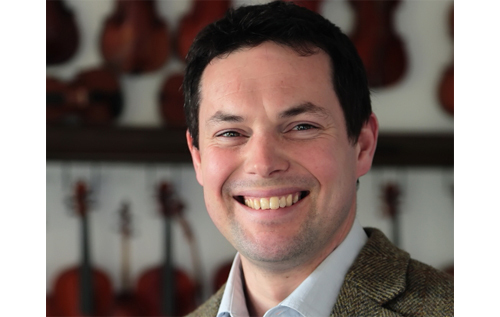 Mr Bartlette studies with Patricia Rozario OBE, and combines freelance tenor work with his violin restoration business, DK Strings, based in Reepham.